Netflix NYCC events to include Daredevil, Umbrella Academy and more – AiPT! Netflix’s lineup promises to wow fans this year at NYCC. New York Comic Con is less than a month away and Netflix is coming out swinging at the east coast’s biggest convention of the year. Netflix’s panel lineup is quite simply loaded, featuring two of the most anticipated upcoming comic book based series, The Umbrella Academy and Marvel’s Daredevil Season 3. They’re also treating fans to Big Mouth Season 2, The Chilling Adventures of Sabrina, The Haunting of Hill House and Dark Crystal: Age of Resistance. The animated hit Big Mout, will be holding an hour-long panel on Friday, Oct. 5 at the Javits Convention Center. The panel will begin at 4pm and features talent Nick Kroll, John Mulaney, Jenny Slate, Jessi Klein, Jason Mantzoukas and Executive Producers Andrew Goldberg, Jen Flackett and Mark Levin. Fans will be treated to a live read from a new episode of the highly-anticipated second season. 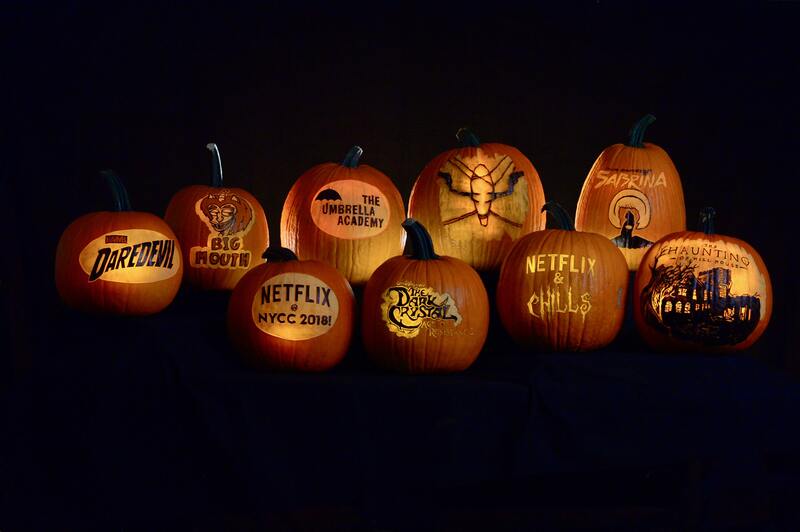 Also being held on Friday Oct. 5 is the “Netflix & Chills” (wink wink) panel. This will also be located in the Javits Convention Center and will last approximately two hours, beginning at 7:30pm. Featured will be talent from The Umbrella Academy, The Haunting of Hill House, The Dark Crystal: Age of Resistance and Chilling Adventures of Sabrina. Fans that attend will be the first people in the world to enjoy a special first look at The Dark Crystal: Age of Resistance. Marvel’s Daredevil is sure to be one of the biggest panels of the weekend, the upcoming season 3 is highly anticipated by fans. To accommodate the massive hype, Netflix will be hosting this panel at Madison Square Garden on Saturday Oct. 6. In attendance will be talent Charlie Cox, Elden Henson, Deborah Ann Woll, Vincent D’Onofrio, Joanne Whalley, Wilson Bethel, Jay Ali and series showrunner, Erik Oleson. Netflix promises the panel will be “epic” and full of surprise reveals. New York Comic Con will be held at the Javits Center Oct. 4 to Oct. 7. You can find out more information on the convention schedule and purchase your badges here.